We have also packaged ETQ Reliance 2019 to make it easier and more cost-effective for customers to select from a range of bundled QMS solutions that closely match their unique quality processes and workflows. ETQ Reliance 2019 extends our pioneering strength in ease-of-use, flexibility, configurability and the delivery of industry best practices. The solution is available now to new customers and as an easy upgrade to our existing customers. 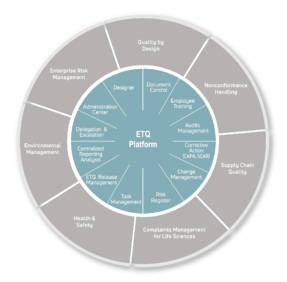 “By adding a new, modern look, full of intuitive visual prompts, to what is already the most flexible platform in the industry, ETQ Reliance 2019 takes my team’s user experience to the next level,” said Joel Wolf, P.E., Staff Engineer, Work Process Automation and Improvement, General Motors.